Getting Crafty with Jamie: A weekend of crafting and connecting fun!! A weekend of crafting and connecting fun!! I am so so so blessed to do what I love and love what I do while I make connections, friendships and create with others. This weekend was packed with awesome card making classes and our Stamper's 10 Club Free Class. Join Us at upcoming classes and create some beauty while connecting with others! The Stamper's 10 Club classes are (A) Free (B) FUN (C) Creating a Technique Recipe Book (D) Rewarding!! Join Us the Second Weekend of each month for this Free Class and be WOW'd at the fun we have while the creations we make. This month we focused on the Blender Pens for a great coloring technique. Club Members receive a free shopping spree on top of the free card making class. They also receive exclusive benefits from me and free Video Series Technique Lessons in our Facebook Group! 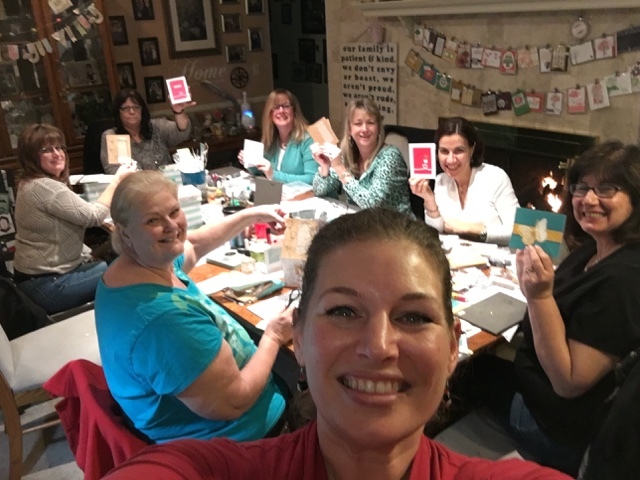 Here is the awesome ladies who could make the Tin of Cards card making class this past Friday! Some had to miss out due to illness but we had a blast! With this awesome, stylish tin for organizing, 16 cards with this tin and a bonus 4 wow cards - it was packed with awesomeness! I'm so blessed to do what I love and love what I do. I started teaching card making 10 years ago this month. It has brought me some of my dearest friends. Join Us in these fun card making classes!! Right Now the Starter Kit is ON SALE!! Pick ANY $155 in items for only $99 PLUS Free Shipping, a Generous 20%+ in discounts, Extra Free Items,Hostess Benefits and MORE! 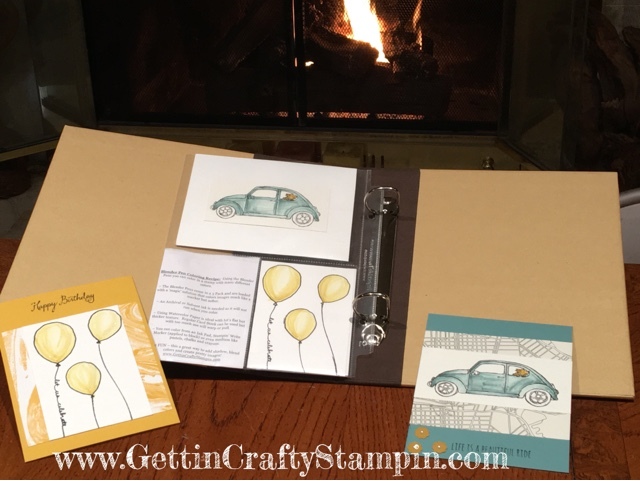 Join the Gettin' Crafty Stamper's Family and do what I do and get ME as part of your family - making connections while having fun and scoring a great discount and free paper crafting items! Consider it - it has been the best decisions I've made (outside of my kids lol) in the past 10 years! !